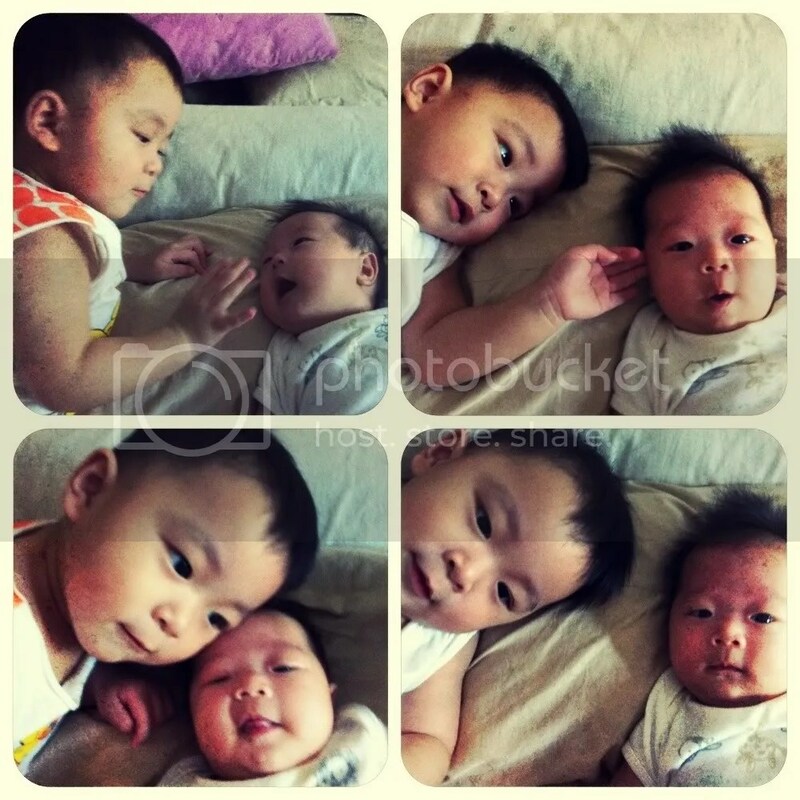 Like us, Thaddeus is growing to love his babysis gradually. He jumps at opportunities to carry, hug or sayang his babysis and now knows better to be gentle with her too. Instead of hitting or poking at her when we put her next to him in the early days, Thaddeus is now able to lie down next to her and not hurt her during our activity time together. Ha! But he would disrupt the activity with his attempts to sayang and kiss his babysis. Very endearing! There are still times when he wants attention on him instead of his babysis. But it’s all quite manageable now and I hope it stays so! Looking forward to see how protective a gorgor Thaddeus will be in future.